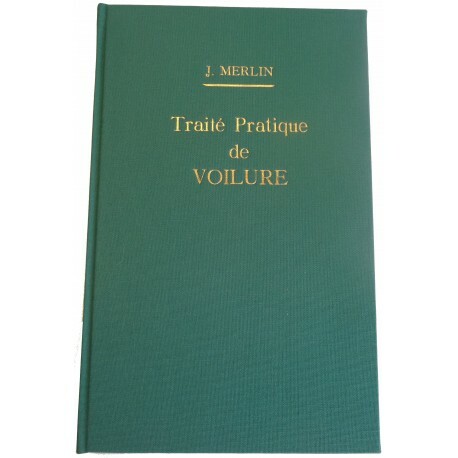 In French In writing his PRACTICAL TREATISE ON SAILS, Jules Merlin, a former student of the Petty Officers' Academy (L'Ecole de Maistrance) and Master Sailmaker in the port of Toulon, set himself the task of providing expert guidance for the sailmaker. This is the main attraction of the work for today's reader, since it approaches its subject from a practical standpoint: in a clear and simple fashion, Merlin describes all the necessary steps for making patterns, cutting, sewing and repairing sails for all types of ships. Readers will also learn the proper placement of a peak, a tack, and a clew, as well as how to make a pattern for a rain awning on the workshop floor or how to make a mainsail for a tartan. In three parts, the treatise acquaints us with an old-fashioned sailmaker's workshop, where every procedure and trick of the trade is faithfully described by the author. 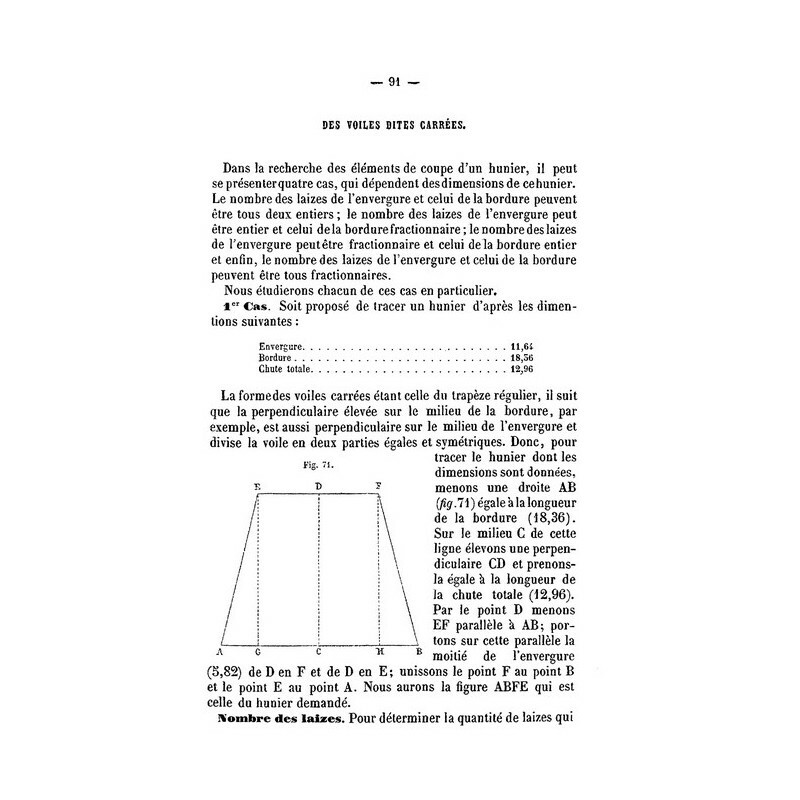 The opening chapter reintroduces some basic notions of geometry. 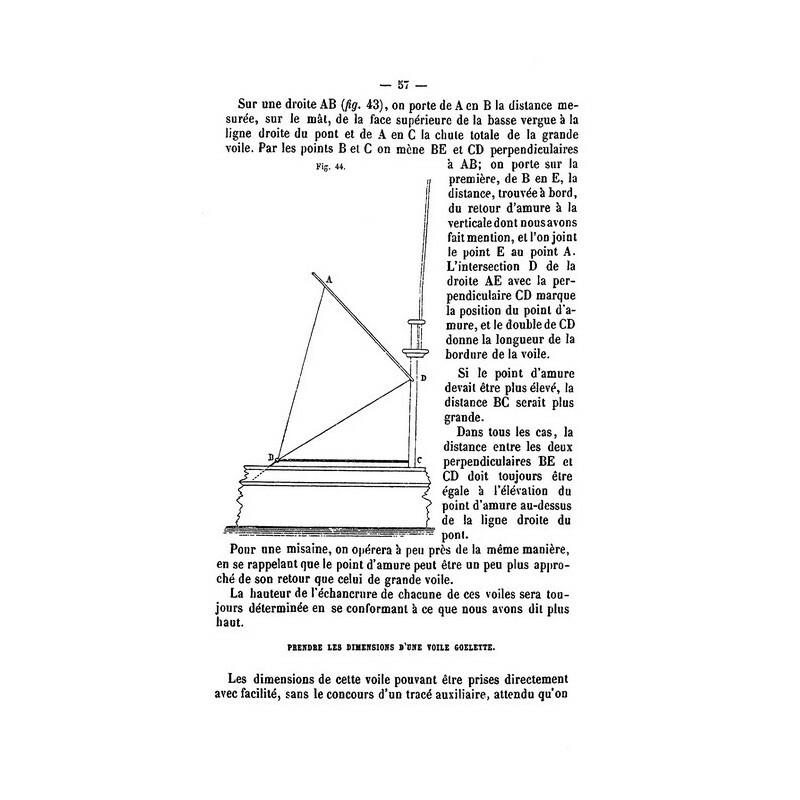 Part One discusses how plans were made for sails and explains how measurements were taken and drawings done for sails used on all types of ships: square sails (from lower sails to royals) but also spankers and schooner sails, jibs and their stays, studding-sails and their booms, and lastly all staysails including tents and rain awnings. Part Two presents detailed instructions for the cutting of sails. 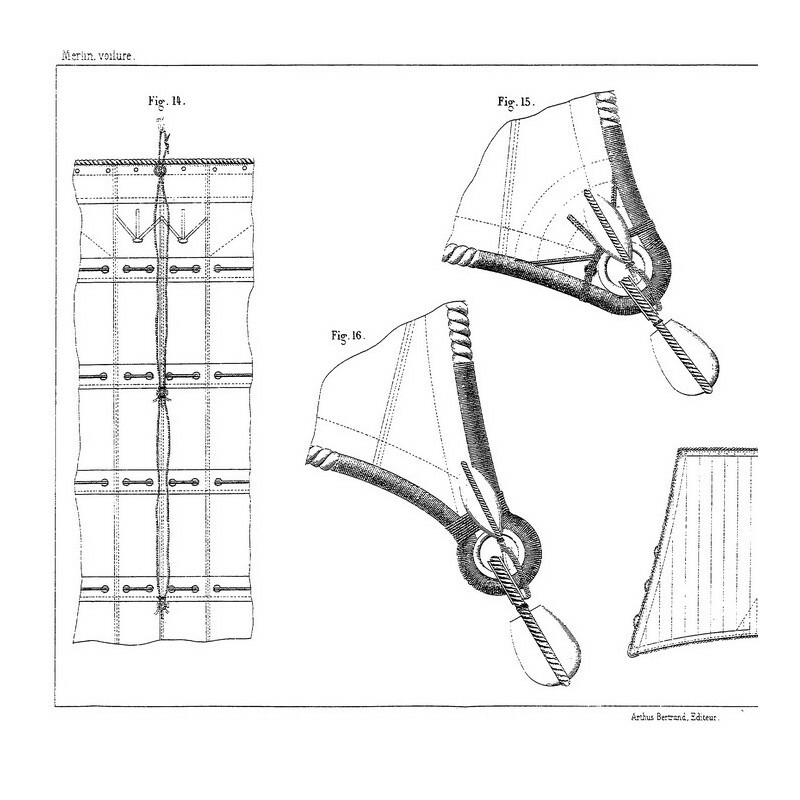 The presentation of this integral aspect of the sailmaker's art required over 100 pages of text. The author treats studding-sails, fore-and-aft sails, gaff topsails, topsails, mizzen top-gallant sails and square sails in succession before turning his attention to curved sails including lateen-rigged sails and jibs for a tartan. Detailed calculations and a cutting pattern for each type of sail guide the reader through each step of the sailmaking process. 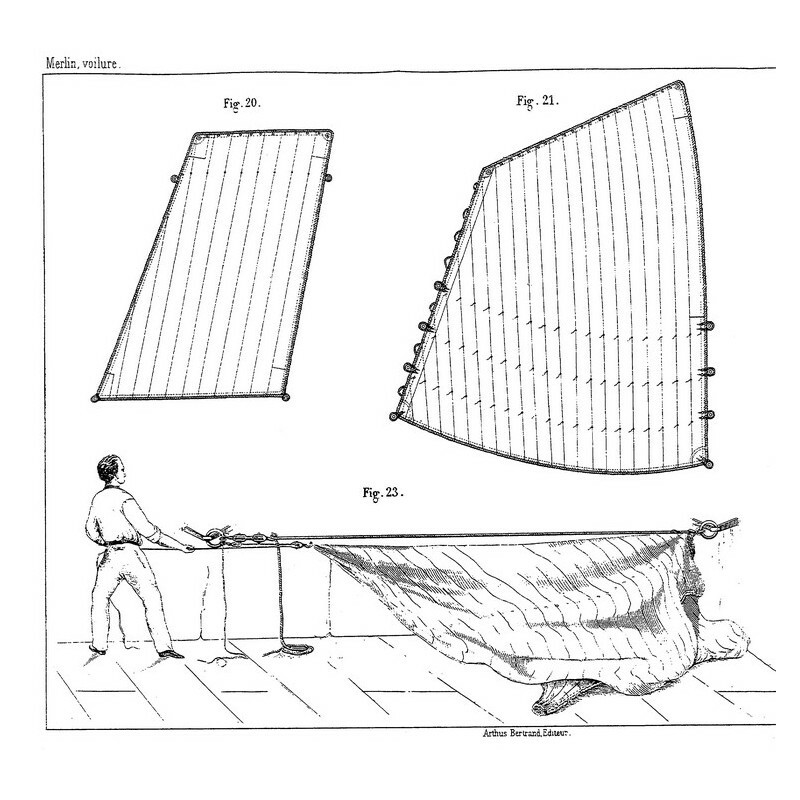 Part Three presents the three phases of making, repairing and modifying sails. Here, too, each aspect is described in great detail: from assembling the cloths, making the sheaths, grommets and eyelet-holes, reinforcements and tabling, reef bands, to the placement of bolt-ropes, the author leaves no stone unturned. 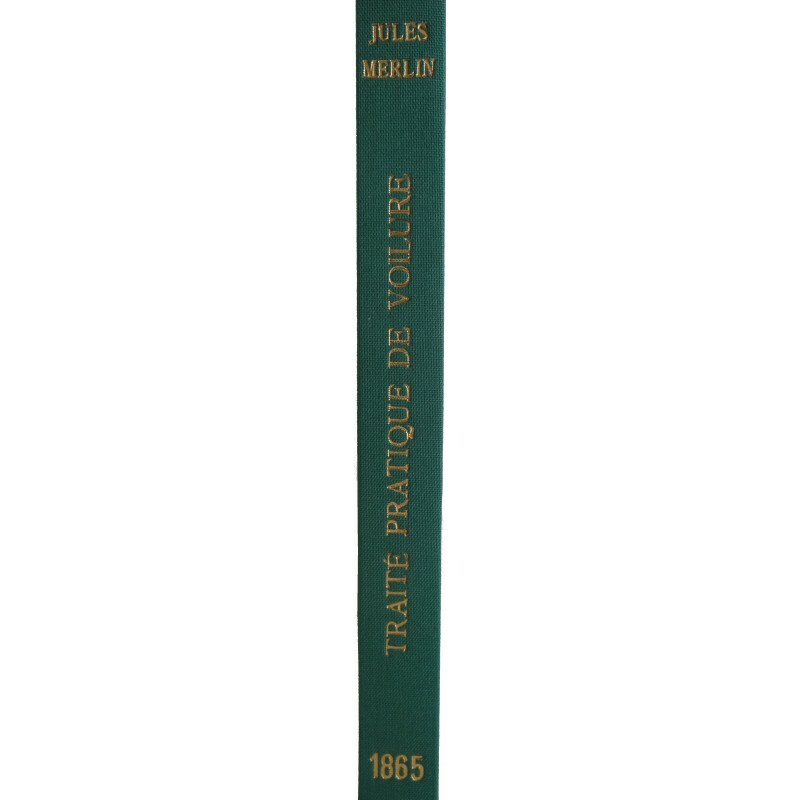 In short, this work proudly takes its place in the body of nautical knowledge we wish to offer our readers who are enthusiasts of naval history, be they sailors, ship's model builders, yachtsmen or quite simply those who love the sea.